The Mind of a Helmet Camera Cyclist: Tourmalet! Not the Mountain the Cucu Jersey! There aren't many personal benefits to being a cycle blogger in Glasgow. Generally it can be a bit....fraught. However, from time to time I get an offer to review something, and this is one such instance. So for a change, a happy blog, one where I get to try on my new Cucu Tourmalet Jersey courtesy of Blog on Brands who were nice enough to send it on to me. ...and no, that's not me! First off, yes your are right, I probably have no right to wear this jersey as I have never cycled up Tourmalet. In fact, I have never cycled up any Alpine or Alpine like climb. 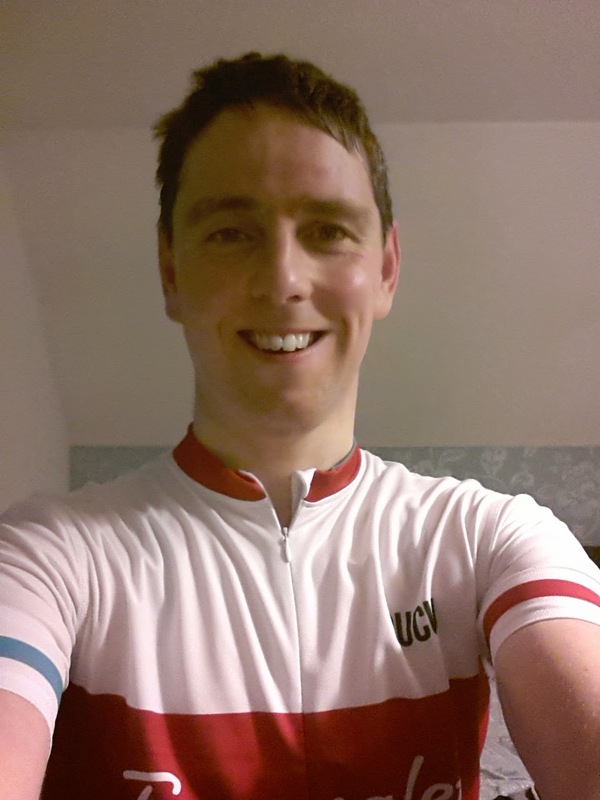 However, I felt justified in wearing the jersey as I promised myself that I would one day cycle up Tourmalet. There you go, I've said it. Anyway, back to the jersey. As a rider who is about 5ft 10 in in height and perhaps carrying just a tad extra weight, I went for the large sizing, which seemed to fit nicely. In fact I could possibly have got away with a medium to show off my...ahem...muscles, but the large was a good enough fit. The silicone grippers in all the right places seem to keep it where it should. Yes! I do know how to use a zip, but unfortunately this zip was a little stiffer than I was used to. I found that moving the zip with one hand just wasn't possible. Two hands is fine if you are stopped (or a better rider than me), but for me that meant waiting until I had stopped to adjust it as required. That wasn't the only 'zip issue'. 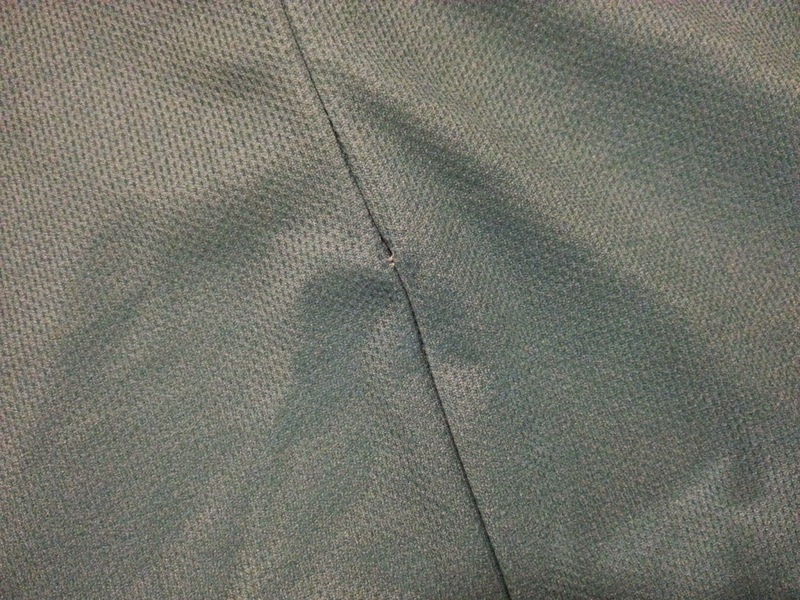 I found that pulling the zip to the top resulted in some of the jersey material getting caught in the zip making it even more difficult to unzip. I've since learned not to zip it all the way up, which for a top selling at about £56 is a little frustrating. The jersey itself felt fine on, if a little thin for my linking (don't wear black bib shorts underneath as they will show through! ), though it would probably be perfect for summer riding (but perhaps not in Scotland!). There are three pockets on the rear of the jersey for your jelly babies, but the pockets were a bit shallow for my liking, not many jelly babies and my mini-pump wouldn't fit. After a few wears and washes (always at 30C of course!) I noticed that some of the stitching close to the bottom of the zip looked a bit suspect. Overall, I can't say I'd be 100% happy if I had paid for the top. The perfect summer (not in Scotland) riding top? Well, the design is certainly a winner, and so long as you don't zip it all the way up and you don't mind the odd dodgy stitch and you don't want to overdose on jelly babies, then this is the top for you! The really sad, don't I look in this jersey, selfie!